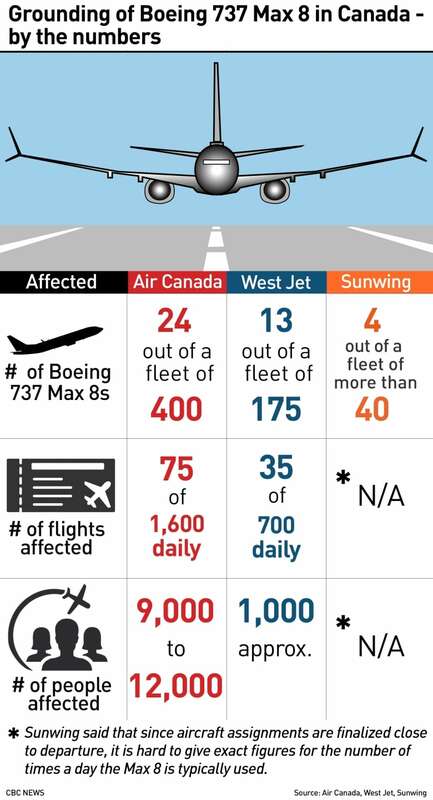 Boeing has grounded its entire fleet of 737 Max aircraft in a move expected to cause significant disruptions for domestic airliners now forced to scramble to rebook thousands of Canadian passengers. “Nowadays, there simply is not really spare capacity, and most airlines are flying full,” said Fred Lazar, a York University economics professor. 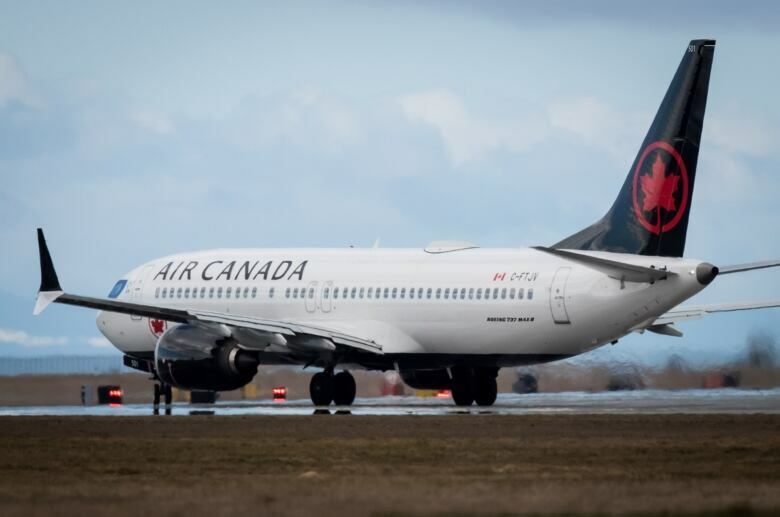 Peter Fitzpatrick, a spokesman for Air Canada said the airline was looking into accommodating customers on other airlines. He said it had re-scheduled widebody aircraft to serve Hawaii, while some flights will operate according to schedule with Air Canada Rouge planes or other aircraft. Other routes, notably Halifax-London and St. John’s-London are cancelled in the short term, with passengers re-routed through Montreal and Toronto hubs, he said. “This decision has an impact on the travel plans of our WestJet guests and we ask for understanding as we work to rebook all guests affected as quickly as possible,” Ed Sims, the CEO of West Jet, said in a statement. “If they are able to get airplanes, the passengers probably won’t even notice anything. If they are unable, then that’s a whole different kettle of fish. Bringing in a planes for domestic use from outside of Canada can be an onerous task. “The fact that [an] airplane is registered outside of Canada, they would have to jump through a whole bunch of hoops and regulations and inspections and maintenance verifications prior to them letting that aircraft fly,” Doiron said. “I fly all the time. It didn’t really bother me,” said Steve Giles of Edmonton. Chris Power from Halifax said she agreed with the decision to ground the plane but also wasn’t worried about getting on the Max 8 before flying to Toronto.